Meeting “at the horse” (u Koně) or “under the tail” (pod ocasem) is a decades old Prague tradition referring to the local practice of rendezvousing at the Josef Václav Myslbek sculpture of Saint Wenceslas on his steed, the former meaning you meet on the side facing Wenceslas Square, the latter meaning the side facing the National Museum. 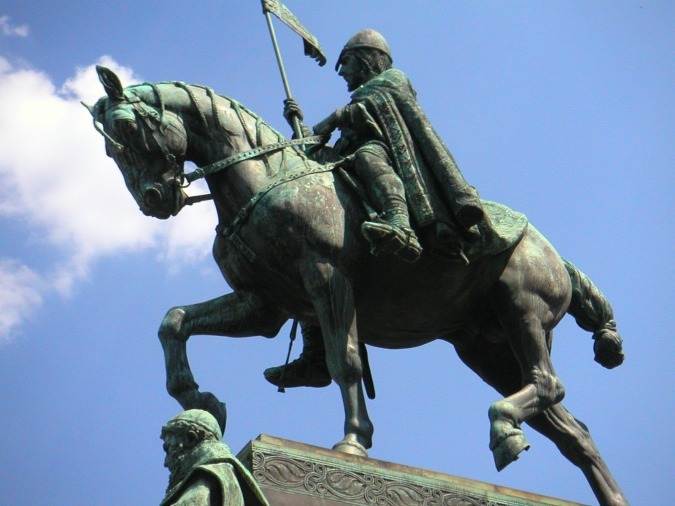 While the legendary equestrian statue has long been considered the most well-known place to meet pre-date, a newly released survey suggests that one other area may have surpassed it in popularity. The survey, commissioned by The Association for the New Town of Prague (Sdružení Nového Města pražského) asked participants—including Czechs, permanent residents, students, and long-term expats—to name not only where they prefer to meet a romantic interest, but also friends in the broader sense of the term. Náměstí Republiky (#1) took top honors with 18.8% of those surveyed indicating that they regularly meet there. Wenceslas Square held down a number of spots on the survey; coming in as the #2 most-favorite place to meet a date (Václavské náměstí, u Koně), followed by Anděl (#3), Náplavka/Rašínovo nábřeží (#4 and a favorite among those under 29), and Václavské náměstí (#5, Můstek). Václavák showed up again at #6 (corner of Vodičkova and Jindřišská streets) with Vinohrady (esp. Náměstí Míru, Jiřího z Poděbrad, and Flora) ranking #7. Karlín (#8, Křižíkova metro station), Letná (#9, Chateau area), and Old Town (#10) rounded out the top ten. Petřín, a neighborhood known for its ultra-romantic setting, especially in May, got very few votes; the data also suggests that 78 percent of people make plans to meet on the right bank of the Vltava River. Top reasons for choosing a given spot: transport links, safety, and number of restaurants and services, though a number of respondents cited good old-fashioned tradition.